The family-friendly property is located in the beautiful resort Spina. The village is nestled in the Natural Park of the Po Delta, bordering the coast of the Adriatic Sea. The family-friendly property is located in the beautiful resort Marina Village / Mare e Pineta in Lido di Spina. 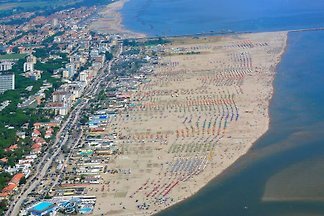 from 5 15 holiday homes & accommodations in Lido di Spina were rated with an average of 4.5 out of 5 stars ! Rent successfully your holiday flat or holiday home in Lido di Spina in only 20 minutes !